Jade Tool was established in 1972, by two dynamic entrepreneurs with a vision of establishing their own specialized machining business. Now, more than 35 years since its inception, Jade Tool is proudly owned and operated by the sons of those two young entrepreneurs. The current Jade Tool principals have successfully evolved their fathers’ original garage-based business from a traditional milling and turning services company into a state-of-the-art CNC fabrication facility. 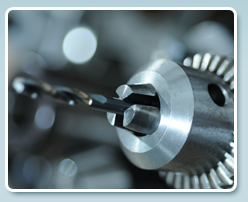 Our machining facility in Xenia, Ohio a full range of of CNC milling centers, turning centers, plus a variety of hand-operated, lathes, mills and other basic tool room equipment. We take pride in developing cost-effective solutions to our customers’ engineering challenges by combining the precision benefits of high-speed CNC production services with the irreplaceable specialized skills of experienced machining professionals. At Jade Tool we believe that the tremendous expertise of our highly-experienced professional staff greatly enhances the CNC capabilities of our business. No business can thrive today without delivering outstanding affordability and service to its customers. At Jade Tool, we are completely committed to providing our customers with our very best efforts every day. We take great pride in the excellence and exactness of our work and stand behind our work’s quality 100%. Jade Tool is a 21st Century creative solutions provider dedicated to helping your business get the prototyping and productions services you need. Contact us today for more information on how we can serve the prototyping and production needs of your high-tech company.